I hope you’re all doing well, and staying sane as the semester gets busy! 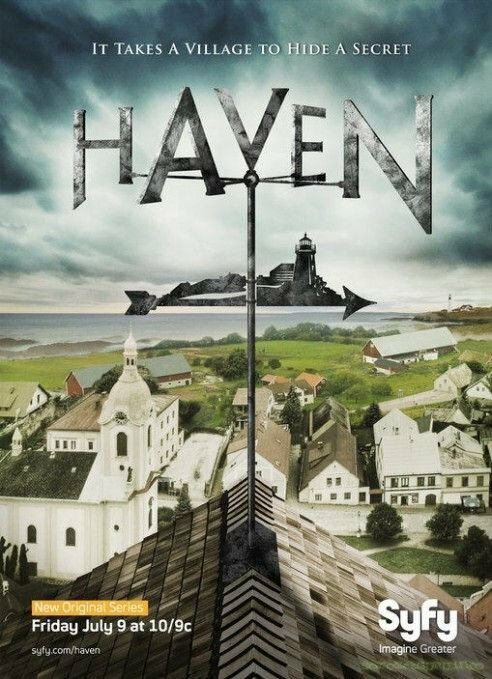 This week at SpockSoc we’ll be showing Season Three of Haven. When FBI Special Agent Audrey Parker (Emily Rose) arrives in the small town of Haven, Maine, on a routine case, she soon finds herself increasingly involved in the return of The Troubles, a plague of supernatural afflictions that occurred in the town at least once before. With an openness to the possibility of the paranormal, she also finds a more personal link in Haven that may lead her to the mother she has never known. Parker begins to realize that her arrival in Haven may have been planned and that her name and even her memories may not be her own. As the series progresses, she learns more about the mystery of both Haven and her true identity. She and her partner Nathan Wuornos find themselves frequently facing problems caused by both the effects of the Troubles, as well as town folk who take more drastic measures against the Troubled. Same time and place as always- ChemSci M18 at 5 pm, pizza run at about 7.